Family and Community Engagement (FACE) is a strategy for student success in school and in life, achieved through the collaboration of educators, families, and community partners. FACE supports Arlington Public Schools (APS)’ strategic plan goal to “develop and support strong connections among schools, families, and the community to broaden opportunities for student learning, development, and growth”. The APS Parent Academy partners with Arlington County and community organizations committed to supporting children and families. Please visit their websites for additional resources and/or learning opportunities. 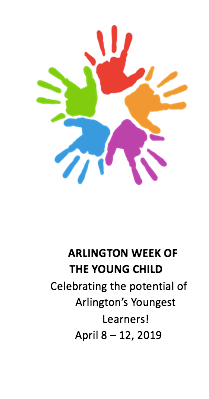 Week of the Young Child: Celebrating the potential of Arlington’s youngest learners! Arlington will celebrate the Week of the Young Child with an array of activities. The Week of the Young Child is an annual celebration hosted by The National Association for the Education of Young Children (NAEYC) celebrating early learning, young children, their teachers, and families. The purpose of the WOYC is to focus public attention on the needs of the young children and their families, and to recognize the early childhood programs and services that meet those needs. NAEYC first established the WOYC in 1971, recognizing that the early childhood years (birth through age eight) lay the foundation for children’s success in school and later life. View flier for more information and a calendar of activities. Spanish interpretation available. To request interpretation, please contact Karen Sherman by April 4, 2019, at 703-228-2545. 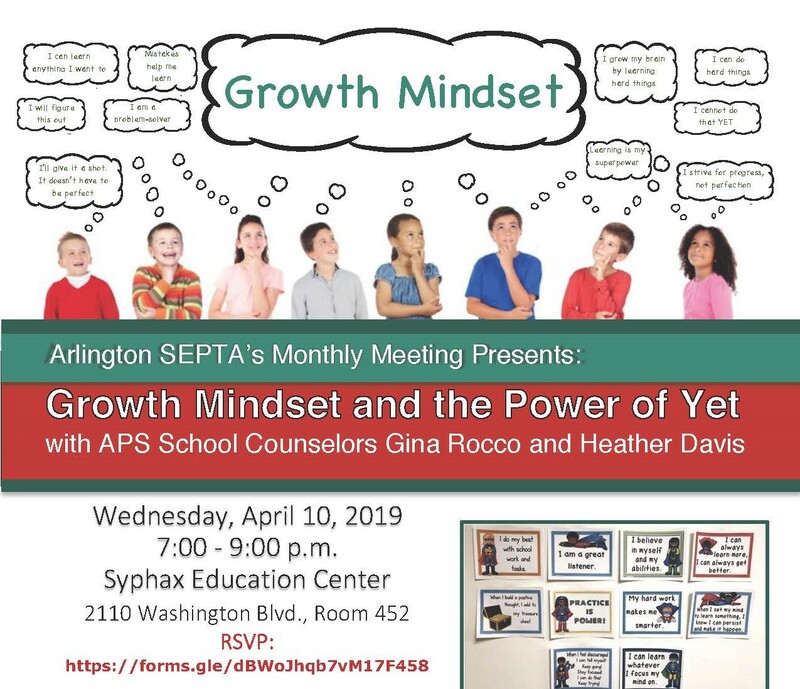 Wednesday, April 10, 2019, 7:00 – 9:00 p.m.
Join the Arlington Special Education PTA as it explores how to promote student perseverance and productive struggle through the idea of the growth mindset. Learn to help your child persist, fail and try again, and reconsider what being successful means.This session will touch on the science behind growth mindset and dive into the underlying belief that intelligence and ability are not fixed but instead can be developed through effort and practice. 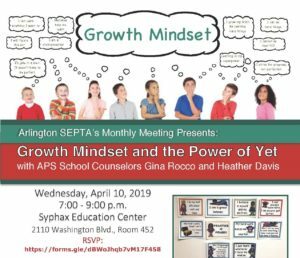 Then, presenters will discuss specific strategies to model growth mindset and mold language to encourage positive self-talk and celebrate persistence and effort.Registration is requested. Registration is required. Register online now or contact the Parent Resource Center at 703.228.7239.
develop effective collaboration skills to work with your school-based team members. Need to contact us? 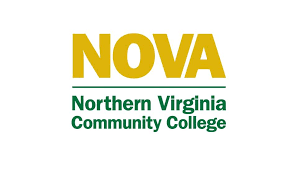 If you have questions or ideas about future learning opportunities, please contact Dr. Rosa Briceno, Family and Community Engagement (FACE) Specialist, at rosa.briceno@apsva.us or 703.228.2128. 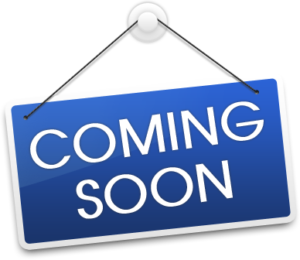 Note: This page may contain links to one or more websites that are outside of the Arlington Public Schools (APS) network. APS does not control the content or relevancy of these links.